Palrams unique polycarbonate Skylight shed designed and developed with emphasis on the everyday use aspects for maximum comfort and usability all day long . Thanks to our perfect virtually unbreakable Polycarbonate, Palram skylight sheds are actually stronger than polypropylene or polyethylene panels and will be the best choice when choosing a garden shed. A unique feature of the shed is Palrams unique polycarbonate Skylight. The innovative roof panels transmit natural light into the shed for maximum comfort and usability all day long without need for expensive and vulnerable open windows or unsafe electric lights. In addition, the Skylight roof has safe opaque external visibility for maximum privacy and it also prevents harmful UV rays from entering the shed and damaging your stored items from getting dull and deformed. 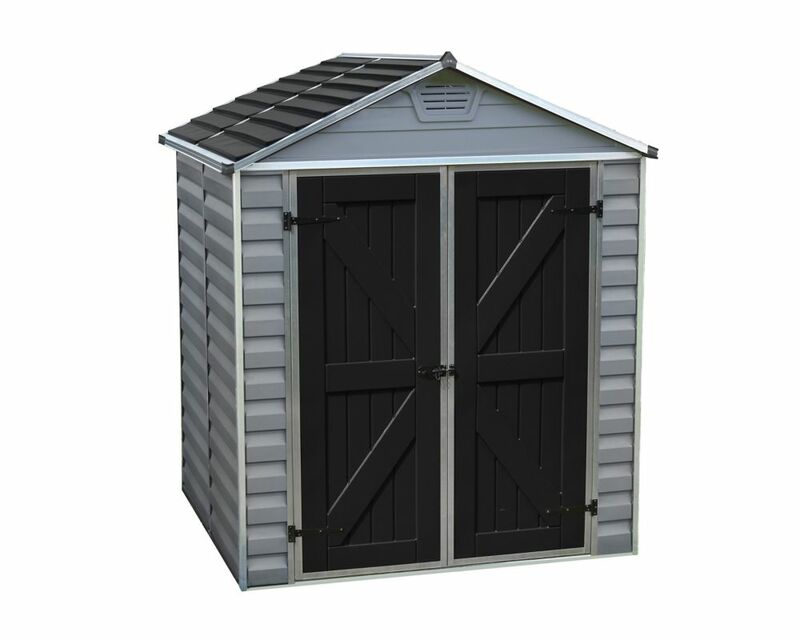 The Rubbermaid Big Max Large Storage Shed is extra deep to fit those large, hard to store items. It can fit push mowers and adult bicycles straight in the shed without having to turn them making your life a little easier. The double wall construction provides an extra layer of protection from the elements. Palram 6 Feet X 5 Feet Skylight Shed - Grey Palrams unique polycarbonate Skylight shed designed and developed with emphasis on the everyday use aspects for maximum comfort and usability all day long . Thanks to our perfect virtually unbreakable Polycarbonate, Palram skylight sheds are actually stronger than polypropylene or polyethylene panels and will be the best choice when choosing a garden shed. A unique feature of the shed is Palrams unique polycarbonate Skylight. The innovative roof panels transmit natural light into the shed for maximum comfort and usability all day long without need for expensive and vulnerable open windows or unsafe electric lights. In addition, the Skylight roof has safe opaque external visibility for maximum privacy and it also prevents harmful UV rays from entering the shed and damaging your stored items from getting dull and deformed.